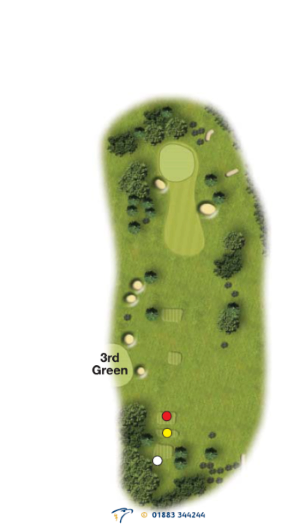 The longest of our Par 3’s. Enter the green from the right hand side of the hole. The ball always kicks left towards the hole. It’s a long carry so check the yardage.